We get excited about the designers we carry. We just got done unpacking the Celine Spring 18 collection. With a number of recent changes at Céline, we were eager to get the new product in hand. Hedi Slimane was recently announced in January as the maison’s new artistic, creative and image director, and although we look forward to seeing her hand in future collections, the authorship and aesthetic of the Celine Spring 18 release still belongs very much to Phoebe Philo. This collection also marks the first drop from Céline since LVMH moved production to a brand new factory in the mountains of Italy. We’re pleased to say that this release represents everything that we love about Céline and more. The Celine Spring 18 eyewear release brings back a number of favorites like Baby Audrey, Shadow (now offered in all black! ), Bridge, Marta and more in new colorways and new different fits (now including universal, international and adjusted fit). But instead of going on about what’s come back, we’d like to share what’s new, with a focus on sunglasses. Kissing cousins CL40012 and CL40014 reference the frame-within-a-frame concept first introduced in Spring Summer 17. 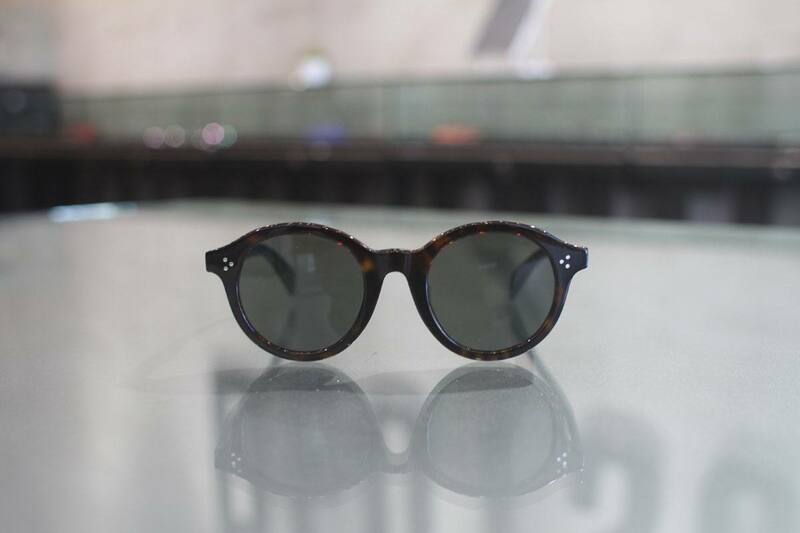 Despite bold look, these frames are lightweight, owing to the special way the acetate is constructed. Adding to an already existing cat-eye design (CL40008), the double layer concept is now presented with a completely flat top with round (CL40012) or square lenses (CL40014). 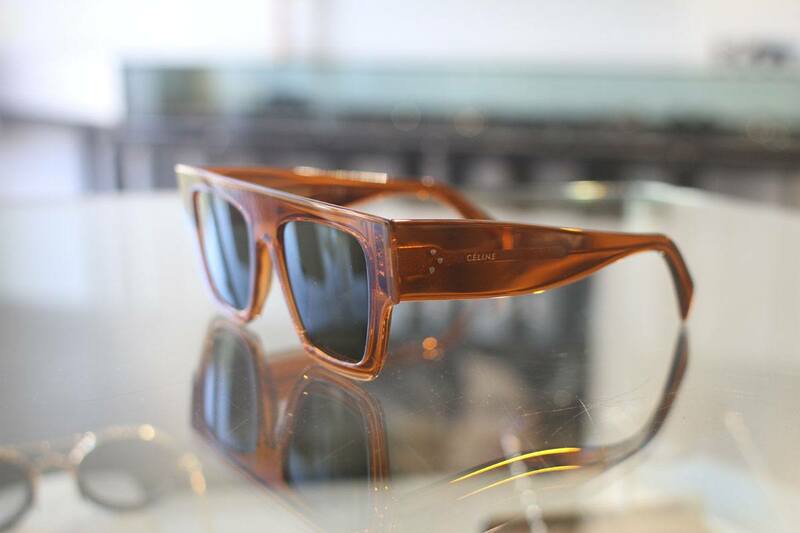 Transparent materials include standards colorways like black and tortoise as well as pop colors blue and orange. The CL410017 and CL410034 with their restrained contours are meant to fit close and comfortable. Lenses are low profile but not 100% flat. These models are offered in homogeneous, tone-on-tone colorways. CL40023 may be Céline’s contribution to the skinny sunnies phenomenon currently all the rage. With its expressive browline and narrow vertical span, this acetate eyewear offers more attitude than protection from the sun (which, on occasion, may be necessary). With a retro nod to the 1970’s, the CL40036 is currently featured by Céline in their advertisements. Creating the frame from injection molded plastic allows for curvaceous three-dimensionality, as well as water-color-like pigmentation. 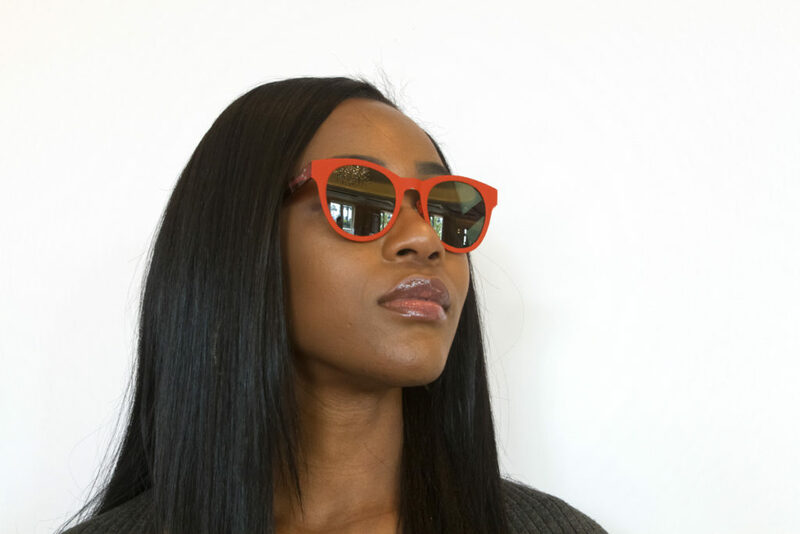 It’s available in just two colorways: a light brown which fades to clear with orange lenses, and a dark brown which fades from the outside in to crystal, with brown gradient lenses. 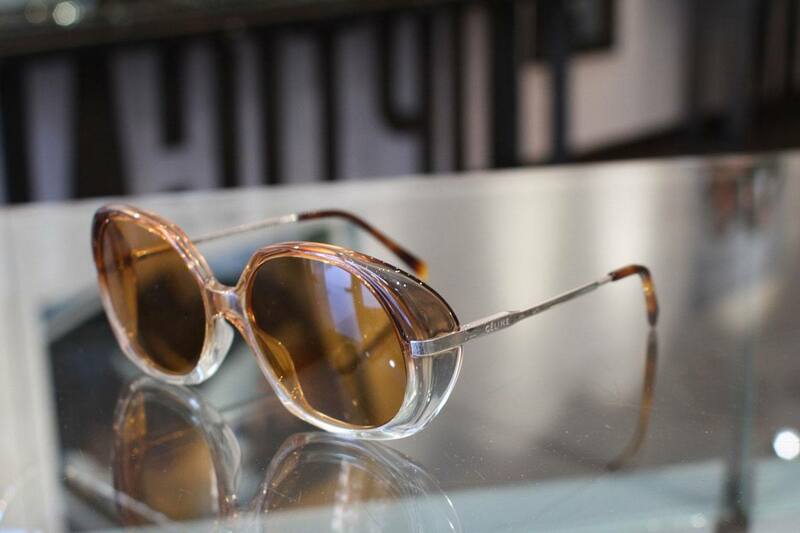 Both versions feature distressed metal temples with hairline abrasions. That’s our summary of the new Celine Spring 18 eyewear collection. There’s more to see (and we didn’t even mention the opticals!) To fully experience them, we invite you to come in and try them on for yourself. 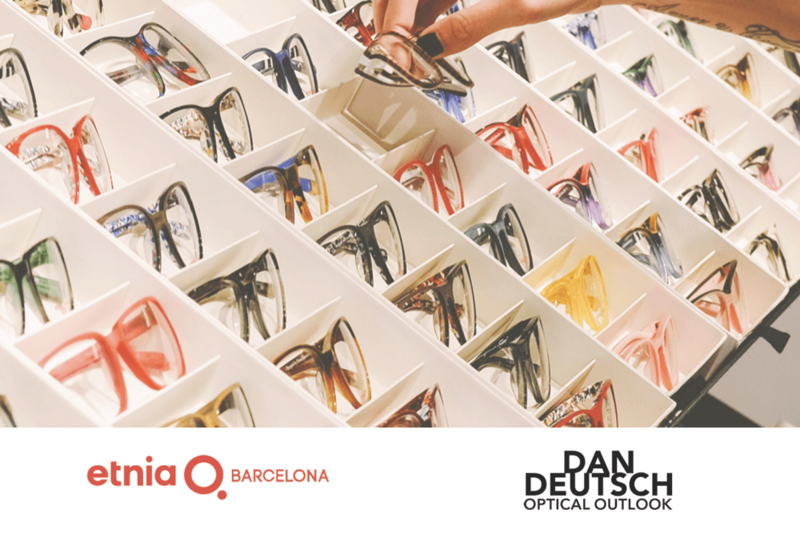 We invite you to experience the whole range of styles and signature colors from Etnia Barcelona, all in one place. Between their collections, Etnia has something for everyone. 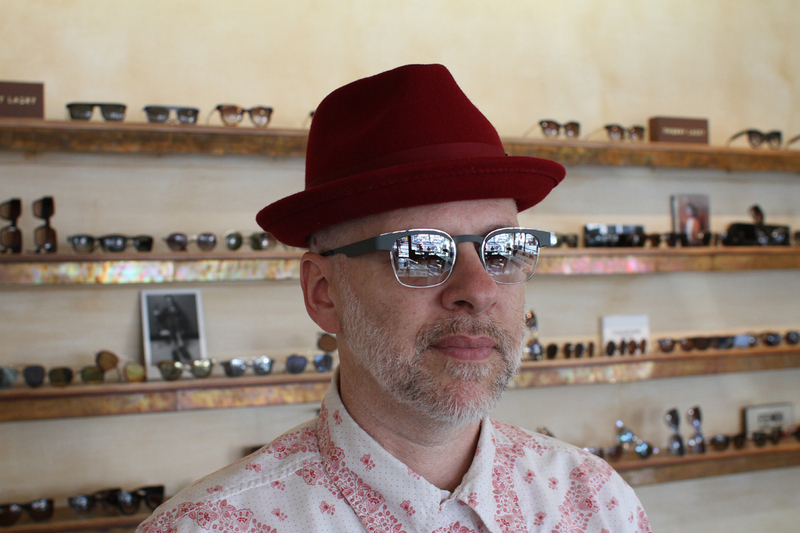 Originals is comprised of colorful frames for people seeking to express their creative side. Vintage focuses on lovers of the classic form. And Etnia’s Advanced collection, which is designed with innovative materials and techniques, is extremely light and comfortable. Etnia even has a smart and fun collection for kids, too! This one-day event is a rare opportunity not to be missed. A big thank you to Bianca de la Garza for featuring us on her blog! De la Garza is the CEO of Lucky Gal Productions and Garza Digital. The Emmy Award-nominated, Latina host and journalist created and anchored the late night show BIANCA, which aired in 20 million homes. Bianca has crisscrossed the globe for some of the biggest moments in history from Royal Weddings to Superbowls. While anchoring New England’s highest rated newscast, Bianca scored interviews with Madonna, Bono, and Tom Brady, to name a few. Bianca’s got a really wonderful sense of style, so we’re especially honored that she chose to feature our shop on her blog. 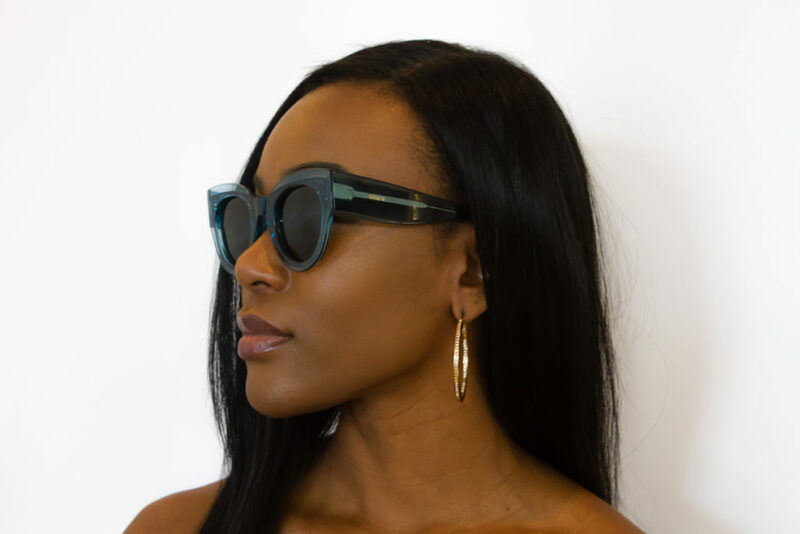 Click through the snippet below to learn more about her addiction to eyewear (the best kind of addiction, in our humble opinion!) and to read her full interview with Dan. Going forward, be sure to keep an eye out for the new show she’s created called Us and the U.S., currently in production, as well as the organic skin care product that she’s developing, set to be released in 2018–which sounds amazing! You can also follow her on instagram @biancadelgarzaofficial. These goggles from designer Alex Capote were designed specifically with the desert in mind. They make for a runway piece of sorts, but not the kind of runway found at NYFW; we’re talking the arid Playa of Burning Man’s Black Rock Desert. For years, Capote had been looking for quality goggles to wear at Burning Man, and the best he could find were either cheaply made or boring, so of course he had to design his own. Conditions at the Playa are extreme, with dust storms that can make it hard to see and even breathe, so you can see why goggles would be ideal. 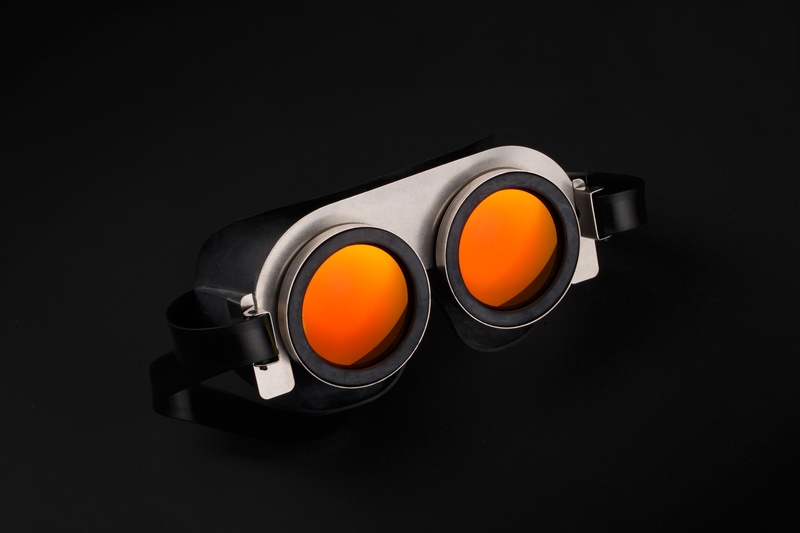 The Capote goggles are called Incubus, after the mythological fornicating demon. Creativity, willpower, perseverance and dreams. We are free souls in earthly bodies, living on this planet, breaking the laws of the universe, evolving and leaving a mark on our way. Capote’s Incubus is made of rubber and steel and comes with an adjustable strap. Lenses are available in a variety of colors, with the possibility of Rx, depending on your prescription. 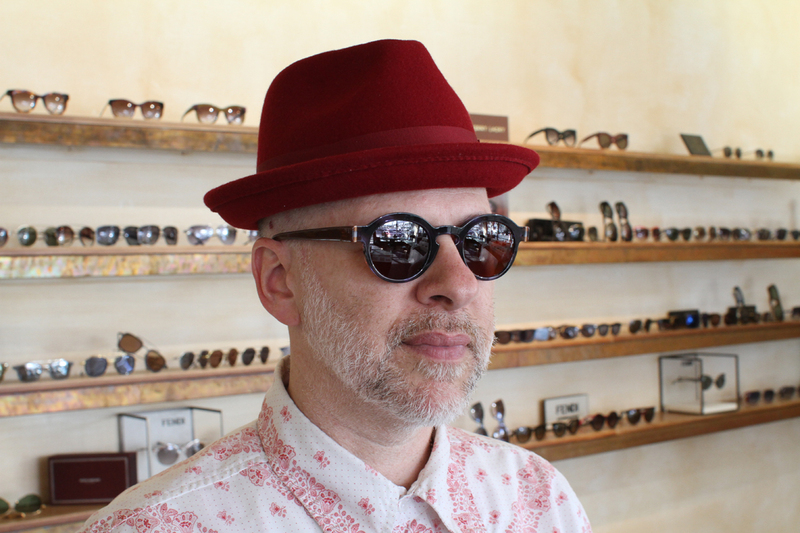 At this time of year, we tend to have have a lot of people passing through our shops on their way to Coachella. People coming to the festival from around the world touch down in Los Angeles before trekking out to the valley, picking up that perfect accessory to make their Coachella outfit complete. It may come as no surprise that we think sunnies are the most important part of your festival fashion: both to see and be seen. Your lenses color the world for you. They’re your real world filter. It’s about what frequencies you want to allow into to your life. 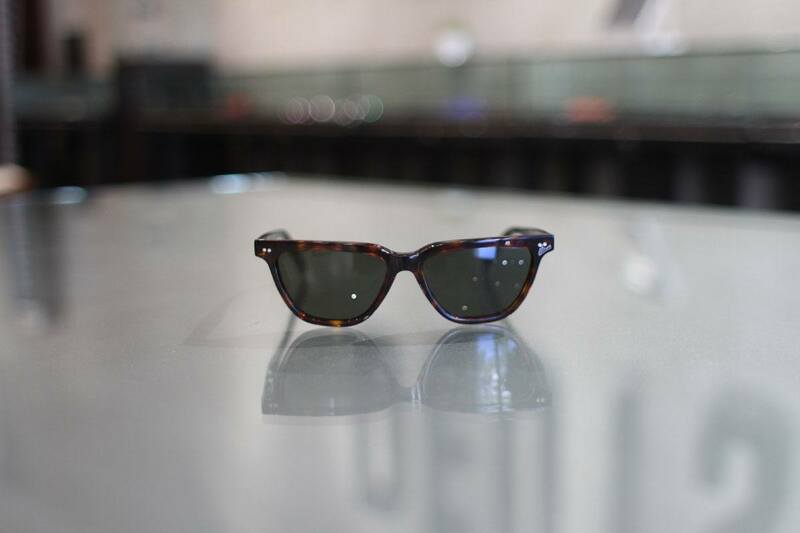 And very important: a quality pair of lenses will protect your eyes from the harsh desert sun. 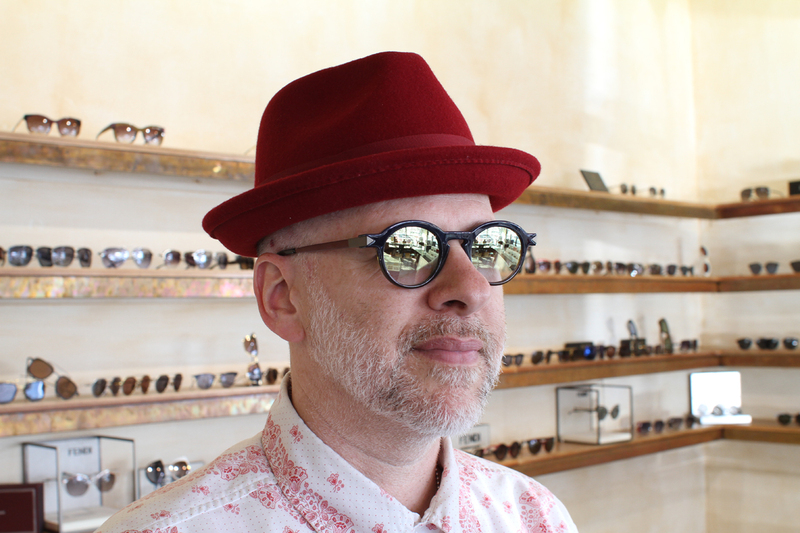 Here we have taken some already awesome Anne et Valentin optical frames and fitted them with custom sunglass lenses. We started with already cool frames – both round and retro-inspired; and then carefully chose tints and mirror coatings to both complement the frames and take take them to the next level. Customizing your festival sunnies is a perfect way to express yourself. This is just a small sample of some of the looks that we’ve dreamed up. 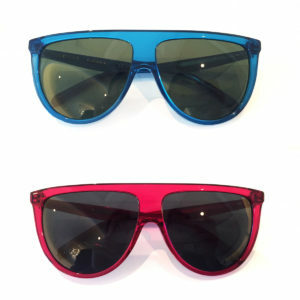 What kind of vision are you dreaming up for your Coachella sunnies? Anne et Valentin Modern Book with custom amber gradient lenses, Zeiss flash gold mirror. These round shades feature a keyhole bridge and triangular temple detail. Elie Saab has just dropped his first eyewear collection. Distribution is extremely limited, and we are excited and proud to be carrying Elie Saab Eyewear at our shops and online. It goes without saying that the finest materials were used. 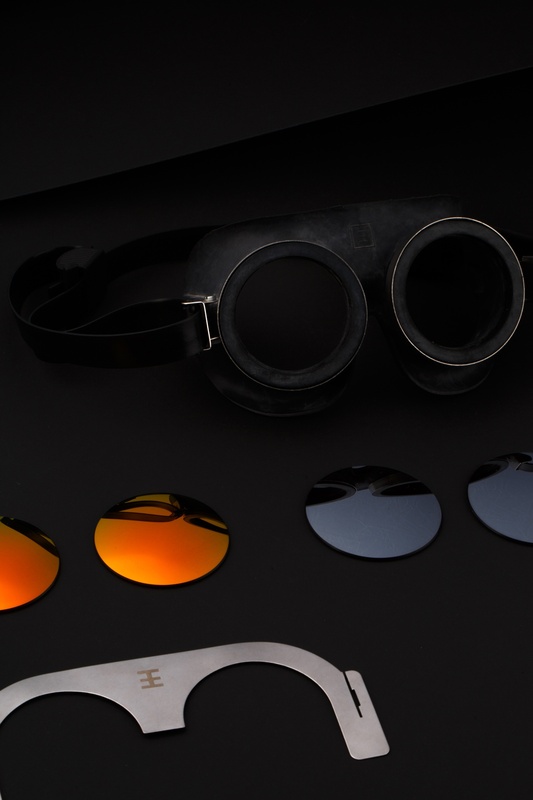 Saab selected Zeiss as partner for the lenses and barely-there gold mirror coatings. Frame surfaces are plated in gold or palladium. The Couronne (French for crown) styles stand out with their harmonious combination of metal and acetate. A gold foliage design drapes the top of the frame. 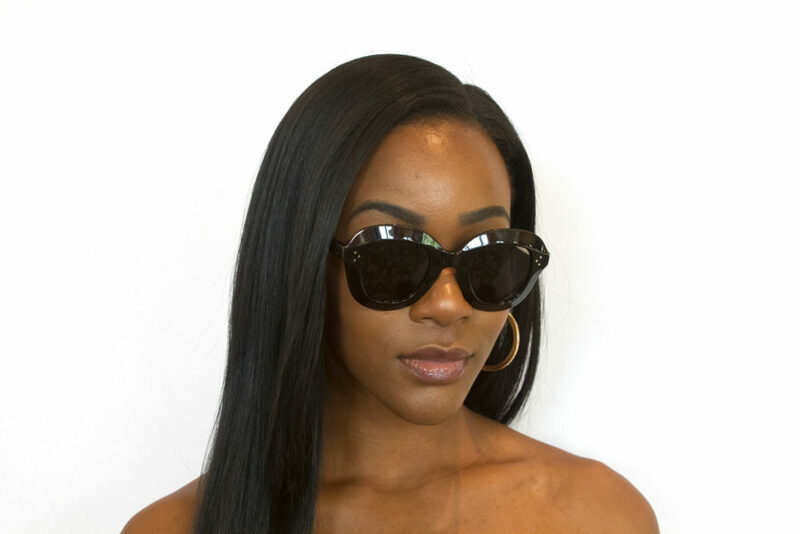 Couronne styles are available in round or aviator. The acetates colors are characteristic of the Elie Saab house and are generally soft hued, with the exception of the round couronne which also comes in black – the only one in the collection. The Chaine (chain) designs evoke the feel of twisted metal. Whereas Couronne is a reference to nature, Chaine brings to mind a modern, industrial sensibility. The chaine motif is available in the highly geometrical circular and square forms and in two colorways – gold or palladium. The Diamant (diamond) style stands alone. Diamant features gold netting at the corners of the frame, which is then further embellished with Swarovski crystals. This idea feels very in line with the intricate stone and bead work of Elie’s Saab’s haute couture. Diamond faceting demands an increase in the thickness of the lens. Shimmering details all work together to create a fairytale effect. For their first eyewear collection, Elie Saab went all out with details, but stayed reserved with respect to shape and color. Round, square, aviator; gold, silver – the basics. But runway looks from Elie Saab’s FW17 ready to wear show in Paris hinted that Saab will be pushing the envelope with things to come: organic and more inventive forms; eyewear that combines acetate fronts and metal temples; a larger range of colors from white to navy blue. With a distinctive voice, Elie Saab has made a bold first foray into eyewear. We look forward to seeing more from the line as it continues to develop. The new Céline Sunglasses collection for Spring Summer 2017 has just been announced. We got a sneak peak of the new styles at the Beverly Hills Hotel and were lucky to have our friend Jasmine there to model the new styles. The Céline SS17 sunglasses release includes 9 new styles as well as new colorways for existing styles. Three dimensional cuts play a key role in the collection. The Céline 41449/S (larger) and 41450/S Kate (smaller) are based on squared shapes with beveled acetate that turns the eyewear into a stunning boxes of light. These styles are both instant classics. 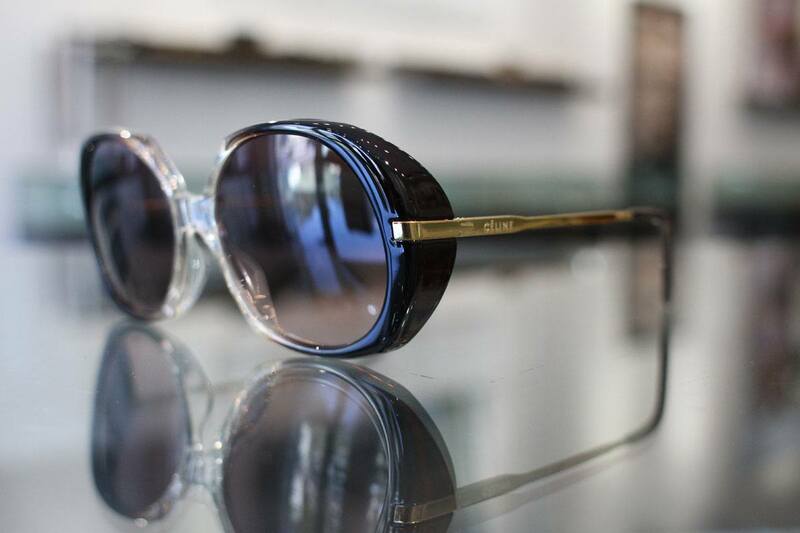 The rounded Céline 41448/S Ava is part of the same design family. Particularly noteworthy is the jeweled-toned Beige colorway that catches the light in a spectacular way. In formal contrast, there is the Céline 41445/S, launching in the strong shades of black, white and the very characteristic, blushy Céline colorway Pink. Calling to mind the curves of a pair of lips, the outward facing contour on the browline is and feminine and dramatic. Two frames which bring a new aesthetic to the Celine line, the Céline 41446/S Zoe and Céline 41447/S Petra, reflect the idea of a “frame within a frame.” A thin, luminous outer layer is just translucent enough to reveal a slightly more defined peek-a-boo frame beneath. The play of light gives new meaning to core colors gray and petroleum blue, while each style comes in one additional colorway for the more adventurous: Fuchsia (41446/S) and Orange (41447/S). Céline has stepped into a new arena with the release of two new frames constructed with a titanium sheet front. Although this may seem like a radical departure, the Céline 41451/S Ed and Céline 41452/S Mila are very much in the Céline sunglass tradition with respect to clean lines, distinctive shapes and house palette. The runway piece for this season is extremely sharp. With a flat top, severe pantoscopic tilt and acutely angular corners, the Céline 41468/S Edge is poised to cut a unique position in the fashion world. Available exclusively in black or blue, this piece isn’t expected to ship until the first week in March, but order now and we will send it out immediately upon release. Keep an eye out for the Céline Edge on the runway and in ads. The Céline SS17 Sunglass release also includes new colorways for existing favorites, including Baby Audrey, Thin Shadow, Lea and Marta. Baby Audrey and Lea have been both updated with stunning whites, and Baby Audrey also now comes in Transparent Brown. Both the Marta and Thin Shadow has been released in two of this seasons knockout candy colors: Teal and Transparent Fuchsia. Pre-order the Celine SS17 collection now, before the officially release- we will send them out just as soon as they arrive. For the Céline SS17, we are expecting a ship date of approximately February 18th. You can also shop the rest of the Céline sunglass collection here. If you choose in-store pick up, let us know which location in the comments and we will make sure the frames are properly adjusted for you when you pick them up. We ship them to customers in the US for free. Besides sunglasses, the Céline SS17 release also includes several optical styles based on the sunglasses in the collection. 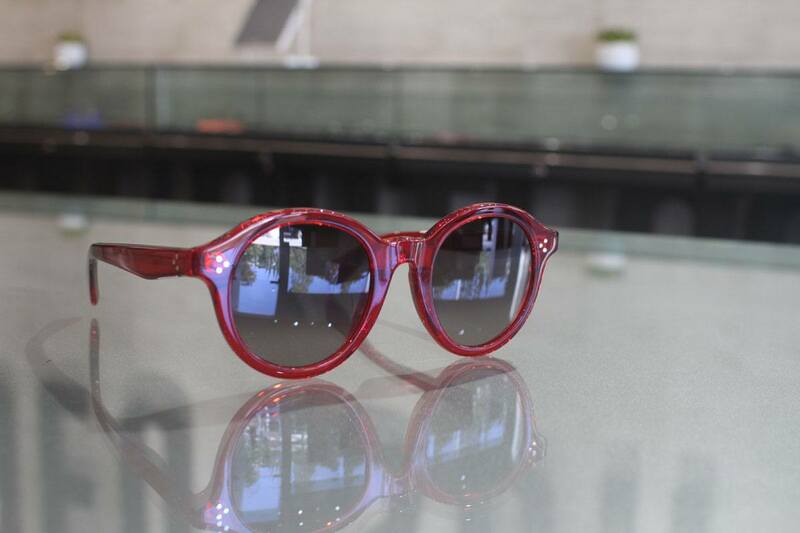 But to see what’s new in Céline optical, you’ll have to visit us in one of our shops. 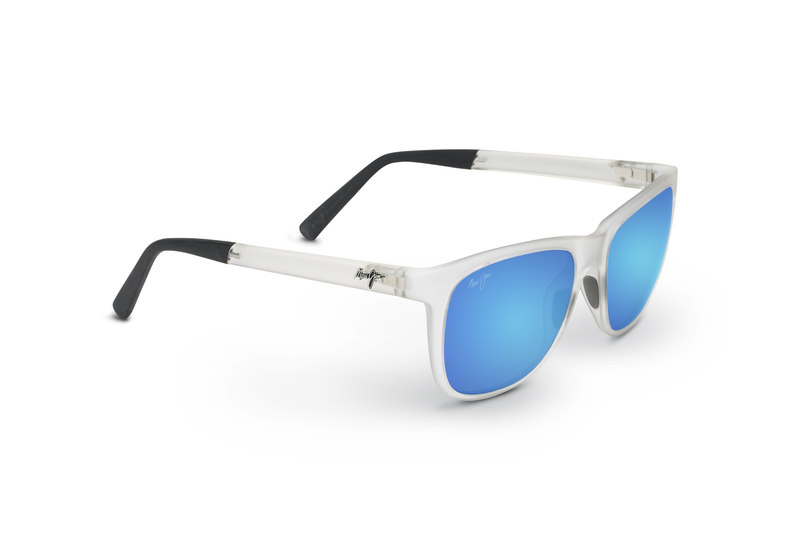 Introducing Maui Jim’s Newest Lens, Blue Hawaii! 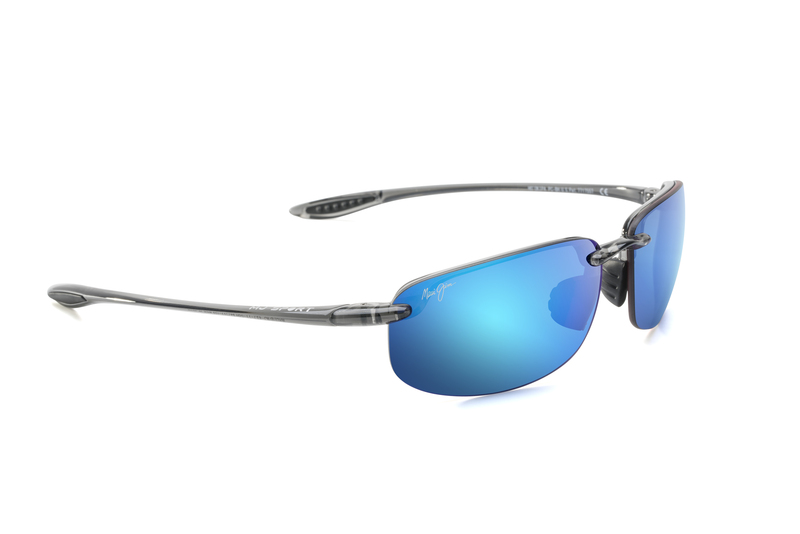 Overflowing with vibrant blues, Maui Jim was inspired to create a new lens for those that thrive on color. 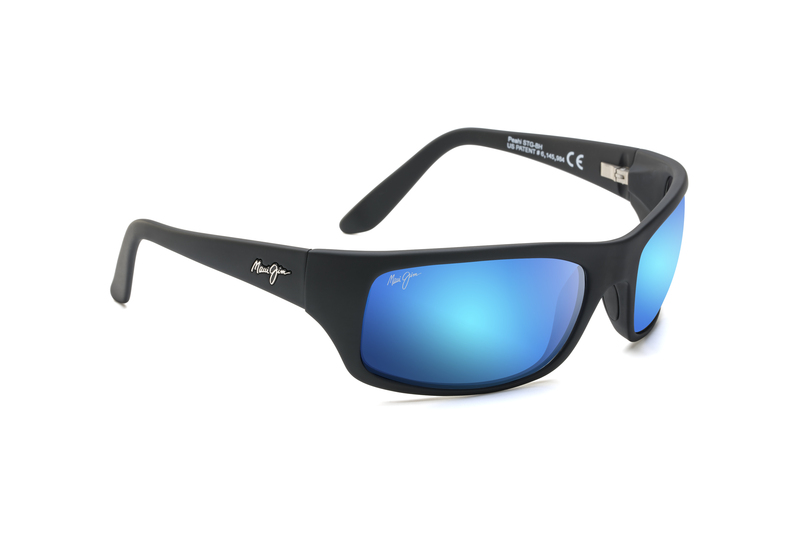 Developed as a fashionably fun option for for those who want a pop of color, Blue Hawaii provides a stylish new look that offers the same amazing color enhancement and clarity as all other Maui Jim lenses. The secret behind Maui Jim’s clarity and enhancements is PolarizedPlus2, which enhances the colors your eyes naturally perceive, so you see vibrant, saturated colors with a higher level of contrast and greater depth perception. 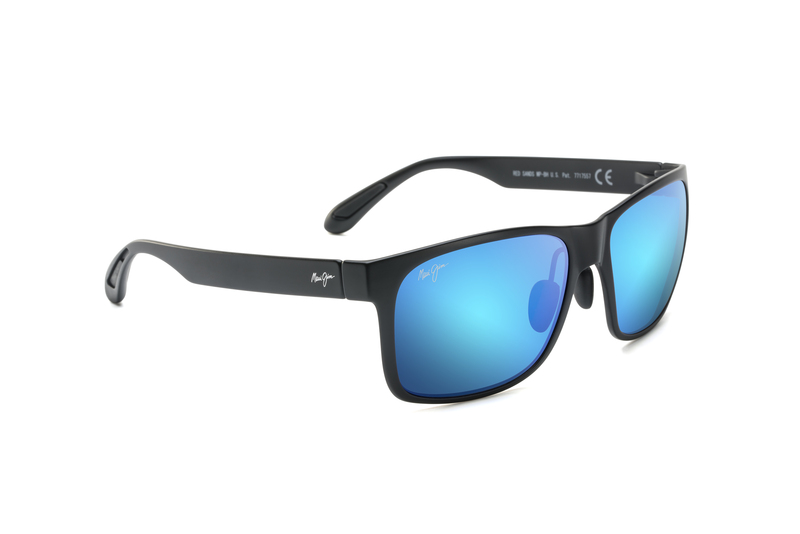 For their Blue Hawaii, Maui Jim starts with a neutral gray color enhancing polarized lens and and then meticulously apply a blue mirror coating. 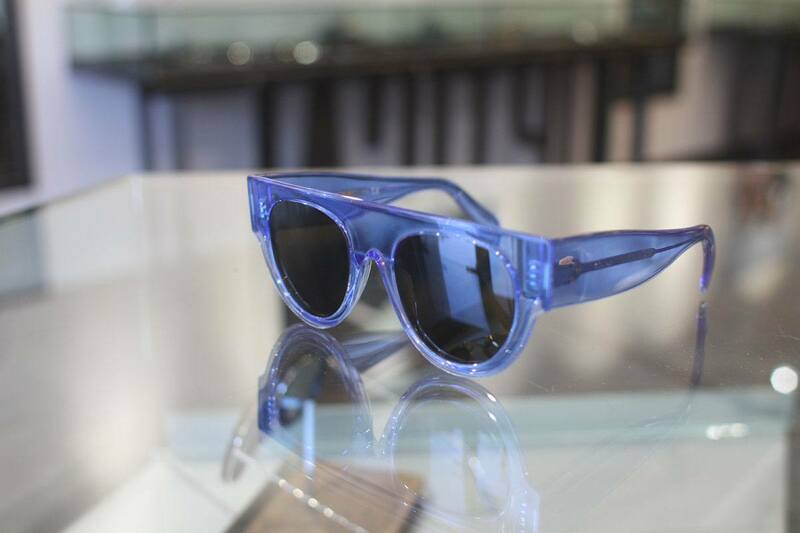 Blue Hawaii lenses are available in prescription. Maui Jim infuses their lenses with a patented blend of three rare earth elements to enhance red, green, and blue light waves. These elements increase and balance the saturation of colors we need to see, and filter out the colors we cannot see that cause a lack of clarity. So colors pop and your world comes to life! Have you seen the latest lookbook from our friend Shay Mitchell? 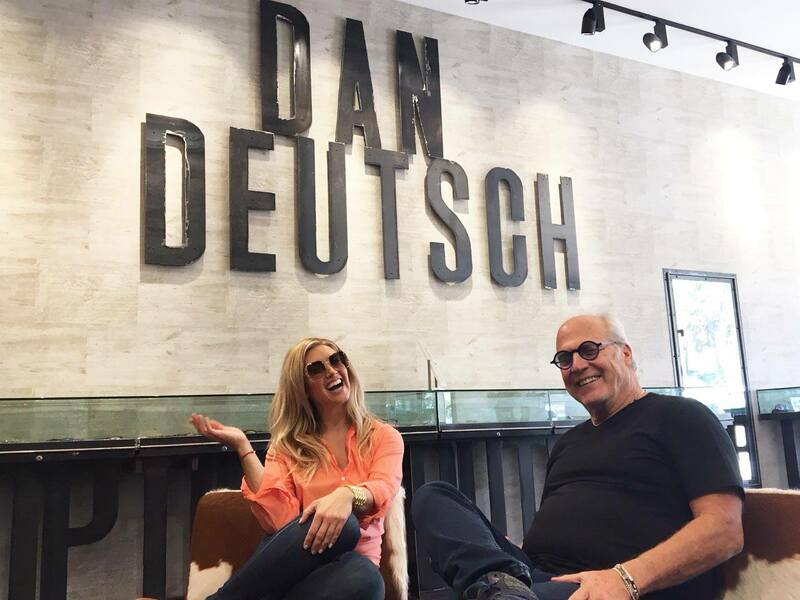 The clip throws a spotlight on Shay’s sunglasses collection, featuring sunglasses from Dan Deutsch Optical Outlook. In the video, she flips through a series of looks by Bottega Veneta, Céline, Dior, Dita, Eyevan, Fendi, Jacques Marie Mage, Max Pittion, and Saint Laurent. Shots of her gorgeous face without shades bookend the experience. Check back here soon to shop the collection. Which one is your favorite? The snowy Japanese prefecture of Fukui is known as the home to a number of crafts including the manufacture of swords and knives, saki, and Echizen paper. 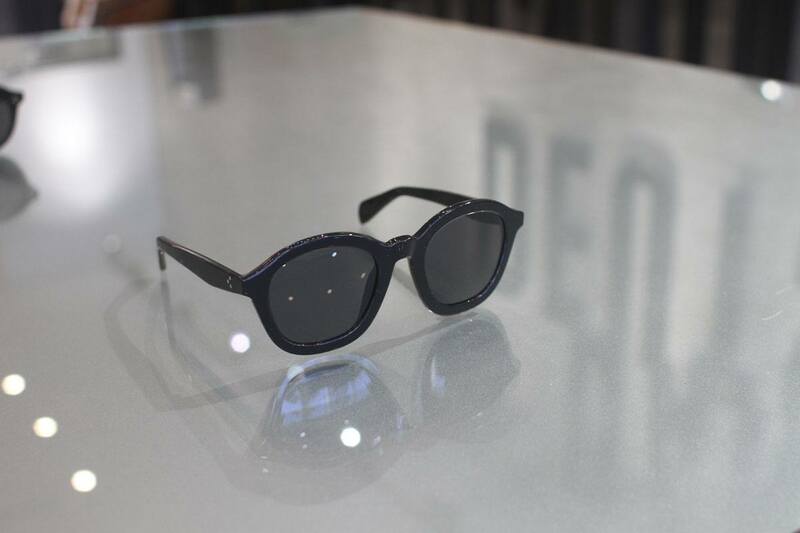 There is one other handmade product known around the world made by master craftsman in Fukui, Japan: eyewear. Based in the city of Sabae, Eyevan 7285 is a shining example of the kind of workmanship that goes into creating a pair of glasses in Fukui.